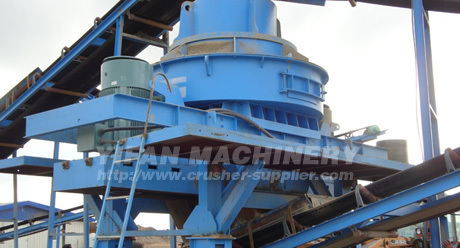 4.Sand Maker is used for producing glass raw material and quartz sand ect. Material falls down to impellor cavity. Under great centrifugal force, it hits material that coming downwards. After hitting each other, they force a vortex between impellor and shell, and hit each other several times, finally smaller stone comes out, and goes to vibrating screen. Satisfactory material is transported by conveyor belt. However overlarge material will go back to sand maker to be recrushed. 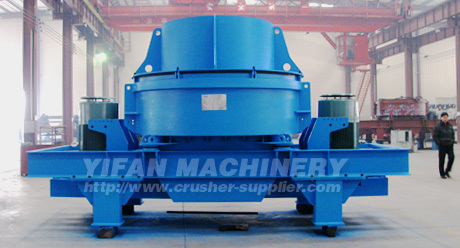 Output sizes can be made according to customer’s requirement.